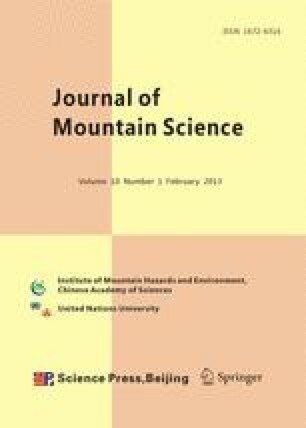 In this paper, the process of wind erosion on two kinds of soil from the agro-pastoral area of Inner Mongolia are studied using wind tunnel experiments, considering the wind speed, blown angle of wind and soil moisture content. The results showed that the modulus of soil wind erosion increases with an increase of wind speed. When the wind speed exceeds a critical value, the soil wind erosion suddenly increases. The critical speed for both kinds of soil is within the range of 7–8 m·s−1. For a constant wind speed, the rate of soil wind erosion changes from increasing to falling at a critical soil slope. The critical slope of loam soil and sandy loam soil is 20° and 10°, respectively. Soil moisture content has a significant effect on wind erosion. Soil wind erosion of both soils decreases with an increase of the soil water content in two treatments, however, for treatment two, the increasing trends of wind erosion for two soils with the falling of soil water content are no significant, especially for the loam soil, and in the same soil water content, the wind erosion of two soils in treatment one is significantly higher than treatment two, this indicates reducing the disturbance of soil surface can evidently control the soil wind erosion.